MUSIC SCENE: In Austin, we honor our music community loud and proud on our city streets. Just take a look at the eight-foot bronzed and braided statue of Willie Nelson (301 Willie Nelson Blvd.). Willie Nelson on stage. Courtesy of ACL Live at the Moody Theater. 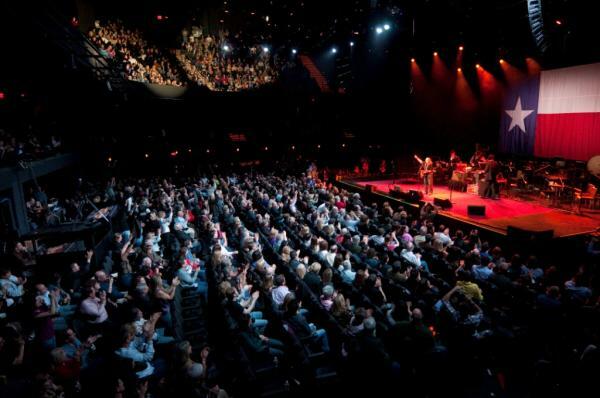 ACL LIVE AT THE MOODY THEATER: Pop in for a tour (Monday – Friday 11 a.m. – noon) or fill one of the 2,700 seats to catch a prime time music act at this celebrated venue. VISITOR CENTER: Swing by for maps, tips and free live music on select Saturdays during the summer with the annual live music series. IRENE’S: Indulge in morning, noon and night American fare on a spacious patio nestled beneath massive pecan trees on the banks of Shoal Creek. 3TEN ACL LIVE: A new addition to the music scene, this intimate venue features small shows with big names and up-and-coming artists. Courtesy of the Paramount Theatre. THE PARAMOUNT THEATRE: This historic venue features live, big ticket performances throughout the year and a classic cinema series every summer. Insider Tip: The recently launched Paramount Social program features lip sync battles and unsanctioned bipartisan exhibition debates. Check the schedule at austintheatre.org for the latest events. THE TOWNSEND: Peoplewatch over elegant small plates and modern cocktails (think braised octopus and a Bottom Buzzer: a delicious concoction of vodka, green chartreuse, lemon, grapefruit, honey and orange blossom) among lustrous throwback décor. COOPER’S OLD TIME PIT BAR-B-QUE: Pit-smoked meats like brisket and ribs are served up at this fully stocked drink stop with a laid back patio. SPEAKEASY: Former bootlegging saloon, The Speakeasy is registered as part of the Haunted Austin Tour. Some have claimed to see a woman’s apparition in the elevator; as well as screams, slamming doors and footsteps running up and down the staircase. 2ND STREET DISTRICT: The walkable stretch of several blocks showcases eclectic boutiques offering everything from makeup and jewelry to guitars and gadgets, coffee houses, wine bars and eateries. Gary Clark Jr. Performing at Antone&apos;s. Courtesy of Arnold Wells. ANTONE’S: The legendary blues bar took a brief hiatus to relocate from its former space and is now back in business with an always packed lineup of star-studded on-stage talent. 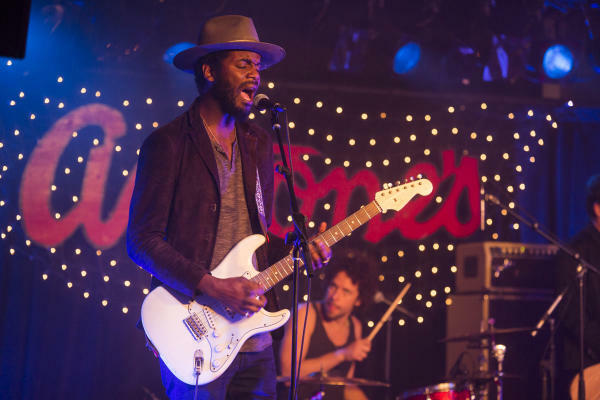 Insider Tip: Austin’s own Grammy winning musician Gary Clark Jr. is part owner of the club and is known to grace the stage when he&apos;s in town. 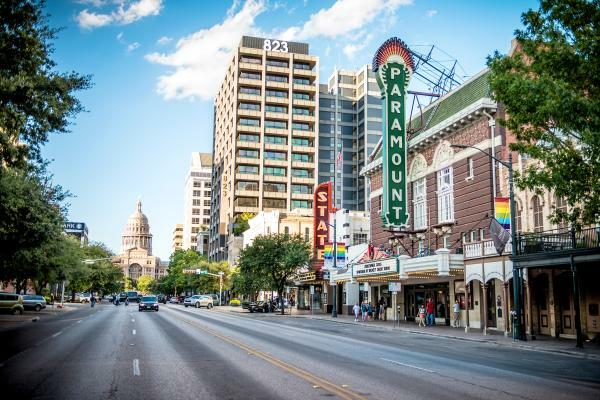 LGBTQ: If your visit doesn’t fall in late August or early September during Austin Pride Week, there is plenty of fun to be had at Oilcan Harry’s, Rain or Highland Lounge. Insider Tip: Austin-based Frot Vodka supports “partying for the greater good” with philanthropic efforts supporting the LGBTQ community. ELEPHANT ROOM: When home, local songstress Kat Edmonson - whose hit song “Lucky” was played on a Coca-Cola commercial that debuted during the XXII Winter Olympics - can be found hanging out at the Elephant Room. FRANK: You&apos;ll find housemade artisan dogs, exotic meats (think antelope and rabbit), queso fries, ice cold beer and more at this downtown staple. Be sure to get a camera shot in front of the Public Art wall outside of Frank.